I see my house way down there! YES!!! Looks like most of CSB dodged a bullet. 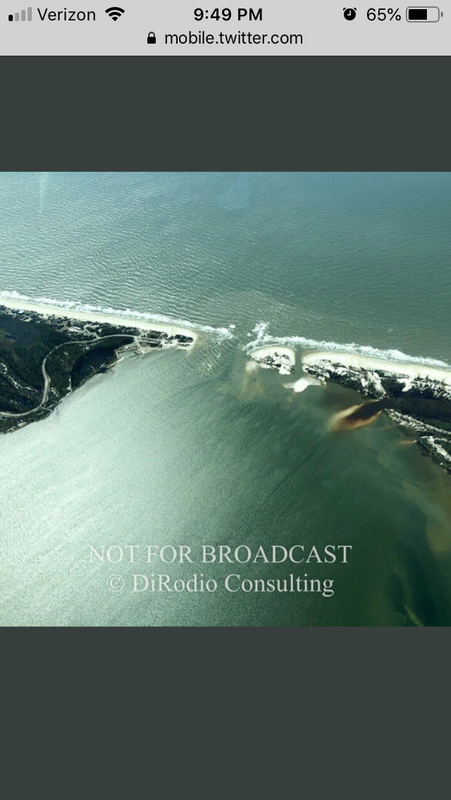 Lots of damage obviously and roadway is washed out at the bend... but it is nothing like poor Mexico Beach. There is a state park at the end of the cape. There is nice boat launch there which rests in an awesome cove. I have put in and out of it many times. It is 100% gone and the storm carved through the cape making the the state park an island. Coincidence the hurricane's name that went from CAT2 to CAT4.999 and CLEAVING the Panhandle to the Carolinas/Virginia then zapping across the Atlantic to hamstring some Frog legs in a few scant hours is Michael? my wife has lots of family and freinds in wewa and many of them stayed. we havent heard from anyone since the eye came ashore. fearing the worst at this point. Heard today that my cousin, his wife and family are alive and their home is still standing. Hope the same for you in-laws. Dammmm. The Cape has been fighting Mother Nature for a long time. Can you post the Facebook pics? I don’t have Facebook. You know, if this was a week after the storm and supplies were low and help had been delayed, I'd almost understand. This is the very next day. It's unadulterated theft just for the heck of it, nothing more. Conceptually, you are right that it’s a theft motivation for most, but it is without any damage to the owners (or even insurers) at this point. If those things aren’t taken now and used, they’ll be trash in a week or couple days when cleanup comes through. I doubt that is in the minds of the looters, but it was a complete inventory loss before they showed up. We also don’t know if some of those people’s houses and supplies were wiped out. This storm was brutal and if that building took that damage, houses are likely worse. Point being, at least some of the looters might already be out of supplies. If, in a time of tragedy, your priority is to help yourselves to others' property instead of helping your neighbors, then that tells me all I need to know about one's moral compass. That happened on Pensacola Beach in probably a half dozen places when Ivan hit 14 years ago. It cut the only road out to Ft. Pickens to shreds. It took some time, but the COE eventually filled them all back in. UPDATED SATELLITE IMAGERY showing damage. Really demonstrative of what a few miles difference from the eyewall can make in the amount of damage..
Also may speak to the difference in the date of construction.. Don't know if SGI is later or not.. Looking at the SGI condos, most are still standing. I'd say proximity to the eyewall and newer construction are both factors. 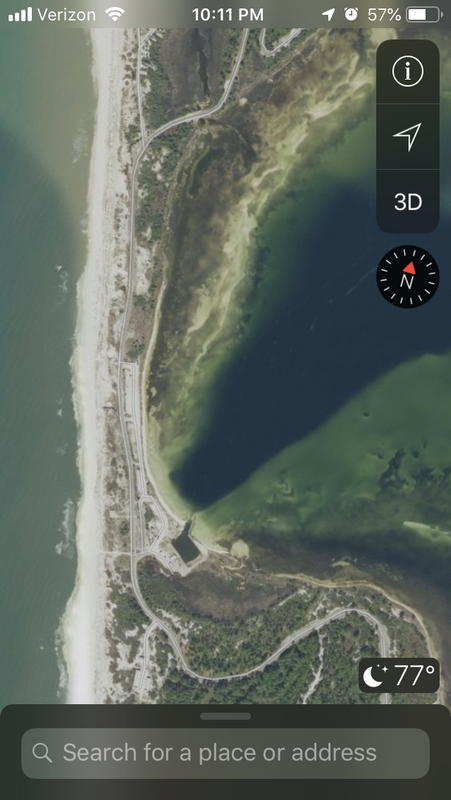 I looked at the SGI St Park area too. Fared well I think. One of my favorite eateries on MB is completely gone. Killer Seafood is no more. The whole building is missing. Great memories in that little place. They were stealing things FOR their neighbors, that’s what we’ll be told next. Heroic actions. But even if these looters have mapped out the inventory impact, insurance claims,and potential waste of otherwise useful goods, it's still theft. And as you said, I doubt the people running into a Dollar Store after a storm are bright enough to even think about that. So in essence, we arrive at the same conclusion. To your second point, that's where I gave myself a little wiggle room on my opinion. I could see if we were weeks out, and it's become crisis mode. In this moment, residents should be thinking of others, checking on family, and trying to keep the semblance of community, not looking for free stuff. And in any event, it's a Dollar Store. To further give concession, if it were Home Depot, I'd be more inclined to stomach it, because it may be for repairs and/or building makeshift shelters. But it's a Dollar Store. I'm not really sure where cleaning supplies, a box of Swiss Rolls and a boogie board would classify as an immediate need. Theft is theft is theft. Unless the owner of the store is there and declares all his stuff free for the taking, then it's stealing. I don't care what touchy-feely language you use to justify the crime, it's not up to the people looting to decide when the laws apply and don't apply to that dollar store. That video is showing thieves in action until proven otherwise and no amount of mental gymnastics will change that fact. I watched the outrageous “looting” of ruined garbage again and you all are right. I’m also now outraged at the moral deficiencies of those living in the vicinity of a destroyed dollar store in a town some have referred to as decimated or gone. I’m sure their houses are fine and they need nothing. I don’t even care that in the video the things you can tell are taken in the video are cleaning supplies and water. Mostly, I am proud to be on a board of such appropriate moral standards (not high standards because this issue of garbage theft is so basic, that the standard is modest at best). I’m sorry to have brought you all down by originally reserving judgment and not feeling outrage from the actions of a decimated community in the storms aftermath. A thief is a thief. They weren’t operating out of need. It’s called opportunity.